Attention: this mod will NOT fit on the T3PA-pro pedals. See list of compatible sets. This mod makes your brake pedal pressure sensitive, offering more precision in braking. On and off in a few minutes. No Thrustmaster warranty voided. We ship worldwide to your doorstep, with tracking link. 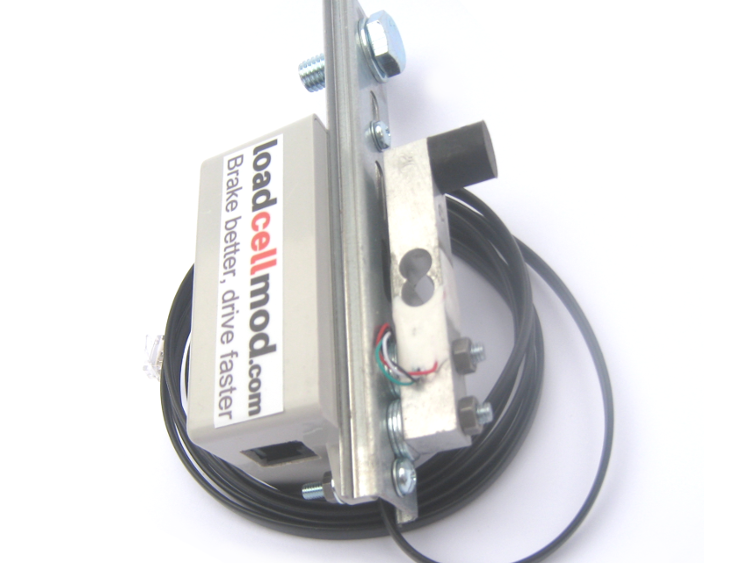 The load cell mod transforms your brake into a pressure sensitive pedal, like a real car. This means you can use your 'muscle memory', resulting in more braking precision. This leads to more consistency in your laps and, in most cases, faster lap times. Enhance your sim racing experience now! We only use your email to reply to your message. 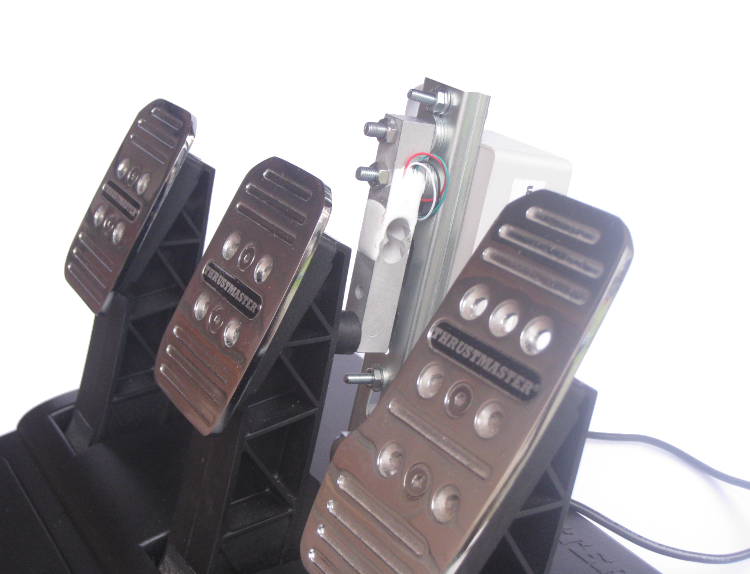 Which pedal set is the load cell mod suited for? 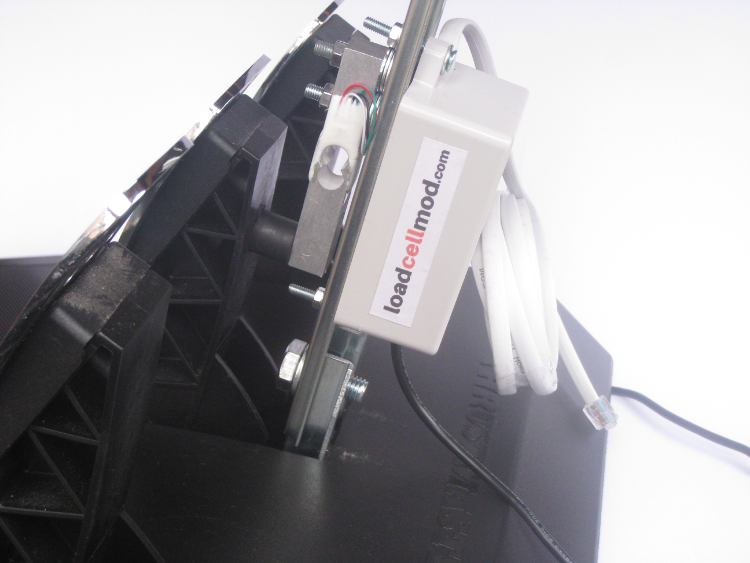 The load cell mod is not compatible with the T3PA-Pro pedal set. What's the difference between 10 and 20 kg pressure? 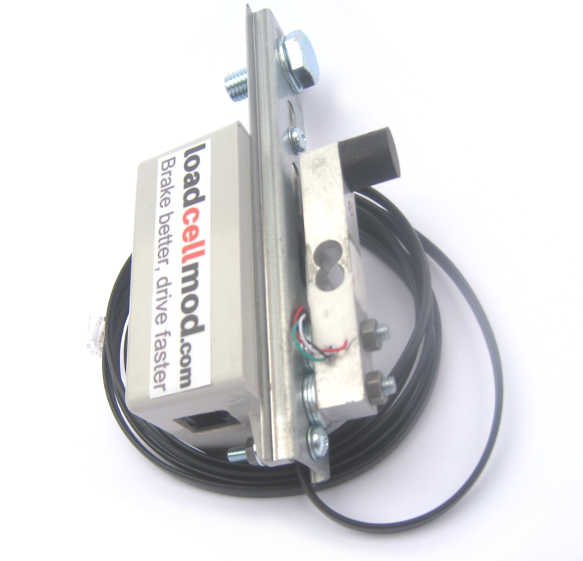 The 20kg loadcell needs 20kg (44 lbs) of pedal pressure to reach maximum brake force. The 10kg version only needs 10kg (22 lbs), which is about the same pressure as needed for the conical rubber mod. If your pedals are hard mounted (and they should! ), choose the 20kg. Otherwise, choose the 10kg. How should the mod be installed? The mod can easily be installed on the bracket for the Conical brake mod. Then, plug in two connectors and you're ready to race. Is there a difference in brake feeling? With the mod installed, the brake padel has less travel, just like when the Conical brake mod is in place. The biggest difference is the fact that your brake is now pressure sensitive. This makes is possible to use your muscle memory for applying brake force. The back of the brake pedal presses on a rubber damper, fitted on load cell. This is a pressure sensitive resistor. The signal is amplified by a chip in the control box. Which gaming platform is the mod compatible with? The mod works with any platform that works with the T3PA pedal set. We accept Paypal, Creditcard, Bitcoin, iDeal (Netherlands only) en Sofort (Germany only). The shipping costs depend on the country of destination. Fill in the order form to see the shipping costs and an expected delivery date. Your order will be shipped within one business day. The shipping time depends on the country of destination. Fill in the order form to see the shipping costs and an expected delivery date. In general: Netherlands: 1 business day, Europe: 4 business days, rest of the world: 8-12 business days. Do you provide a tracking link? A tracking link is provided as soon as the order is shipped. How do you rate the load cell mod?